Ken's Labyrinth is a first-person shooter DOS game. It was mostly coded by Ken Silverman. 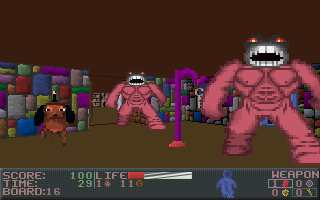 Ken's Labyrinth is graphically similar to id Software's Wolfenstein 3D. i wish more people would comment... i feel so alone.